Evo is a cognitive enhancer that we’ve been seeing and hearing of everywhere. Like literally – even at times when we aren’t looking for it. 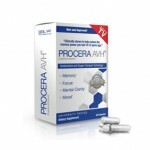 Searching for a brain supplement? Evo ad. Looking at videos about the brain? Evo ad. 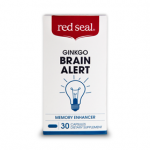 Looking for memory aids? Evo ad. If one thing’s for certain, it’s that the company is an aggressive one in terms of marketing, and that everyone is talking about them. That’s exactly how we first heard of Evo in the first place: an ad. It was some time last year, but now, they have seemingly taken the internet by storm. Just last month, Doug our IT guy let us know that Google saw an estimated 50,000 searches from the term “Evo pill” alone. Those looking for it are out there and they’re hungry… and that’s all thanks to the fruitful efforts of Evo’s marketing team. The same aggressive marketing can easily be seen in Evo’s website. The site is crafted in such a way that you are seemingly led down a “sales process” until you eventually end up buying. Everything on the website screams “BUY ME!” about Evo – the 24 hour sale ending soon, the big and bold “RISK FREE” signs, and the 100% satisfaction guarantee. In fact, when we first stumbled upon Evo’s site, we were quite sure that the website was a joke! Nevertheless, we can’t really judge a company’s products by the type of marketing they use (although deceptive marketing will give a company a bad rep). What’s most important when it all comes down to it is this: does Evo work? There’s not a lot of information on Evo’s site about the ingredients, but if you can find it (and boy, is it hidden well! ), there’s a page that shows a supplement facts label, with some minor explanations on some of the ingredients. While we really don’t appreciate the scammy marketing used here, we would have loved to see more explanations behind the ingredients used in their formula, as well as some cited clinical studies that reaffirm the efficacy of the ingredients used. Even some simple explanations on how Evo works or affects your brain would have been highly appreciated, but instead, we’re left to read almost nothing about it, except some of the super-vague catchphrases listed below. If you’d like to read more on their ingredients though, you’re going to have to do some further research yourself. The list of Evo’s ingredients is buried somewhere in their website. You aren’t going to find it easily from the homepage, but doing a Google search of “Evo Ingredients” should bring a result back to you. One of the first few pictures is directly from Evo’s site, so by clicking “Visit Page” from Google Images, you can find the ingredients page. We aren’t so sure why they did this or made the page so difficult to find when this information is quite important. On the ingredients page, you’ll see a little bit of explanation regarding some ingredients and their effects, but note that there are only 4 of these ingredients listed on the page. If you want to learn more, you’re going to have to take it to the internet. One good thing we have to say about Evo’s supplement facts label is that they made a good choice to not hide all their ingredients under the very vague “proprietary blend”. As reviewers, this makes our jobs very easy in terms of gauging specific effects based on the ingredients and dosages used. For those of you who don’t know, some ingredients produce different effects depending on their dosage (high vs low), while some ingredients may produce wildly different effects depending on what other ingredients you pair them with. You’ll also quickly notice that Evo wasn’t actually made with enhancing memory in mind. 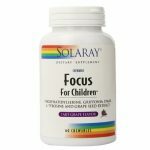 If you take a read at some of the website copy, you can tell that it was really made for improving focus and energy. In essence, a sort of productivity pill that allows you to blast through so many things in little time. Under examination, this isn’t the case with Evo’s ingredients though. 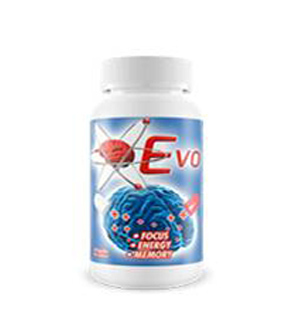 A considerable chunk of Evo’s formula actually aids in memory. Huperzine and Vinpocetine, for example, work very well at increasing acetylcholine levels, as well as increasing general blood flow to the brain. This means that the brain is supplied with more juice, allowing it to function at a slightly enhanced state. By far, the ingredient taking the largest part in Evo’s formula though is Bee Pollen. We’ve been getting a number of emails asking about what it actually does, so to put reader curiosity to rest, it’s a natural nutrient that also doubles as an energy booster. Don’t get us wrong – it isn’t anything at all like caffeine, guarana, or similar stimulants (although caffeine is present in Evo’s formula). 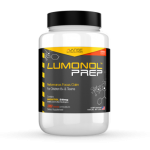 It works by naturally enhancing stamina and fighting off fatigue in the same way L-Tyrosine (also included) does. Aside from that, we’ll also have to give credit to the inclusion of Acetyl L-Carnitine, Ginkgo Biloba, and Choline Bitartrate (although CDP Choline may have been a better choice) – all great ingredients that improve connectivity in the brain. 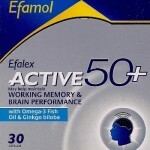 This allows for better memory consolidation, information recall, and warding off age-related brain diseases. We have to note that Evo does contain caffeine though, so those who are intolerant to its effects might want to stay away. What we would have liked to see instead is guarana substituted for caffeine – as it is a natural herbal alternative that is arguably better in almost every way. Our tests with Evo lasted for a whole 45 days. We had a few volunteers come in to our lab (aged 21-35) who agreed to take Evo continuously and write down their findings in a journal. They also had to come report back with our lab every two weeks for general cognitive performance tests. From the very beginning of our tests, we already heard great things from our volunteers. After just a couple days of testing, we’ve had volunteers calling us about the energy they got from Evo. Many mentioned that getting work done in the office or in college was just that much easier. Not easier in the sense that they got things done faster, but that they could just get their heads down to it, and keep on working until completion without so much as a bathroom break. Our volunteers reported being more motivated too. Over the course of the month and a half of testing, some have even mentioned losing weight or seeing large improvements at the gym – all thanks to the “can-do” mindset they got from Evo. Unfortunately though, this did not translate into a successful test. The problem here was that although Evo was great at giving our volunteers more energy, better problem solving abilities, and even better mood levels and motivation; it apparently did next to nothing for our volunteers’ memory. This may be due to the dosages in the ingredients used being slightly off, but perhaps also a reflection on the quality of ingredients they’ve used – some of them seem to be the lesser version of premium ingredients: Choline Bitartrate and caffeine instead of using the more superior CDP Choline and Guarana, for example, as well as a few others. This isn’t to say that Evo is a bad brain supplement though. We imagine that there is a certain kind of person that Evo will appeal to. Those looking for a quick buzz to get them blasting through tons of work will enjoy Evo. However, if you are looking for long-term solution for enhanced states of memory and protection against age-related brain diseases, you might have to look elsewhere. It was strange that we weren’t able to find many Amazon reviews of Evo online (there were only two! ), however, it is reviewed on other expert sites like the ones listed below. Its reception is mostly negative, but there are still some positive reviews on it online. 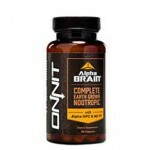 Overall, we found the evo brain supplement to be a very good product. 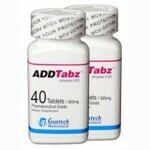 It utilizes science and creates a very good avenue for people to gain from the amazing effects of this pill. We checked this product to be clinically proven and extensively tested in labs. 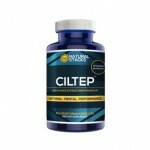 We were impressed to find that it has been formulated under the able guidance of doctors and health specialists. 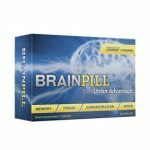 We have already stated the amazing cognitive effects of this supplement – right from improved memory skills, enhanced focus and overall brain activity to better reflexes and moods. 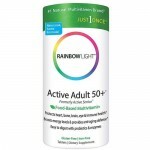 As a part of the Evo brain supplement reviews we would like to recommend this product to everyone. Product works exactly as it should. Am more than happy with the product will buy again. Have tried similar items in the past none of which had an outcome anywhere near this one. 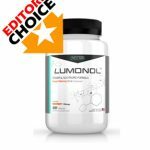 Between the company’s failure to provide clinical support that Evo Brain Pills work as advertised, and the company’s reputation for poor (or better yet, a complete lack of) customer service, we might recommend choosing a nootropic from a more reputable manufacturer. For a company capable of posting all sorts of deceitful and dishonest information, this company is out to use all means to get money out of your pocket. 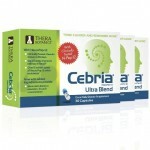 We believe that this company should be the last one you should consider when looking for enhancements for your brain. Stay away from products coming out of this company, or else you will lose your money for useless products. Overall, the reviews are leaning to the negative side, with some swearing by it, but a lot more claiming that it might just be snake oil! The only side effects our volunteers noted on were jitters and slight anxiety – all symptoms of caffeine use. Yes, Evo does contain caffeine, so if you are intolerant to it, or can’t handle its side effects, perhaps it is best advised to stay away. If you’re allergic to pollen, you might want to stay away too. Also, Evo contains DMAE, so depending on what country you are, the substance might be banned. We know for a fact that it’s illegal in Australia and Canada. Other than that, there isn’t really much that you need to worry about Evo. Evo’s pricing options might seem a little attractive to the untrained eye, but please be aware that the list prices at $139.95 for a single bottle, $219.80 for two bottles, and $319.80 for three bottles are complete lies. We believe they just listed these numbers so that it seems like you’re saving a lot of money when it’s discounted at $39.95, $64.95, and $89.95 – the true prices for Evo. These prices are not at all special as these are around the ballpark of most other similar supplements. It is easy to be tricked into thinking a supplement has a higher value, so please be very careful of companies that are just out to take your money. You’ll be glad to know that they do have a thirty day satisfaction guarantee – less shipping and handling charges and a $5 restocking fee. If you’ve come to read a hate review, you’ve come to the wrong place. We aren’t going to say that Evo is a bad supplement. In fact, our volunteers rather liked its effects. It really does something for your energy and focus levels, while also increasing motivation. For many, Evo can become a very valuable study or work tool. This does not, however, mean that it is an effective memory enhancer. In our tests, Evo didn’t really do much for memory. 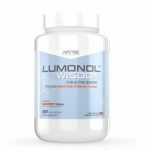 While the ingredients are there to support memory to some extent, we believe that the dosages are just slightly more oriented towards increasing focus. Likewise, the ingredients could have also been of slightly better quality. Again, this doesn’t mean Evo is bad though. The biggest problem we’ve had with Evo is with the company itself. Everything about it – the layout and design of the website, the sensationalized marketing hyperbole, the vague claims and statements, the fact they hid the supplement facts so deep into the website, and even the way they priced Evo and the constant countdown timer – all of it leads us to a conclusion that we don’t want to make… Perhaps Evo is just run by marketers who are out to take your money. And with so much effort put into closing a sale, we wouldn’t put too much hope on their satisfaction guarantee either. Back to the main point though – is Evo effective at enhancing memory? No, it isn’t. Let’s just leave it at that.